A convicted murderer is unlawfully at large in Northern Ireland, the Department of Justice (DoJ) has confirmed. William Robert Martin absconded when he failed to return to Maghaberry Prison on Wednesday after a period of what officials describe as unescorted pre-release testing. 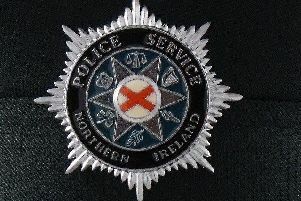 William Robert Martin, 48, is unlawfully at large in Northern Ireland. The 48-year-old is serving a life sentence for murder. Martin is described as 1.73m tall, of medium build, with brown eyes and grey hair. According to the DoJ he has several distinguishing marks including scars on his left ear, right eye and right thumb. He also has a tattoo of a skull on his right arm.